During the month of September, Shred360 partnered with local businesses and Harvest Hope Food Bank for our Annual “Stock the Pantry Food Drive”. Shred360’s “Stock the Pantry” consists of Free Shred Day Events around South Carolina, where attendees are encouraged to donate food items for those who are less fortunate. 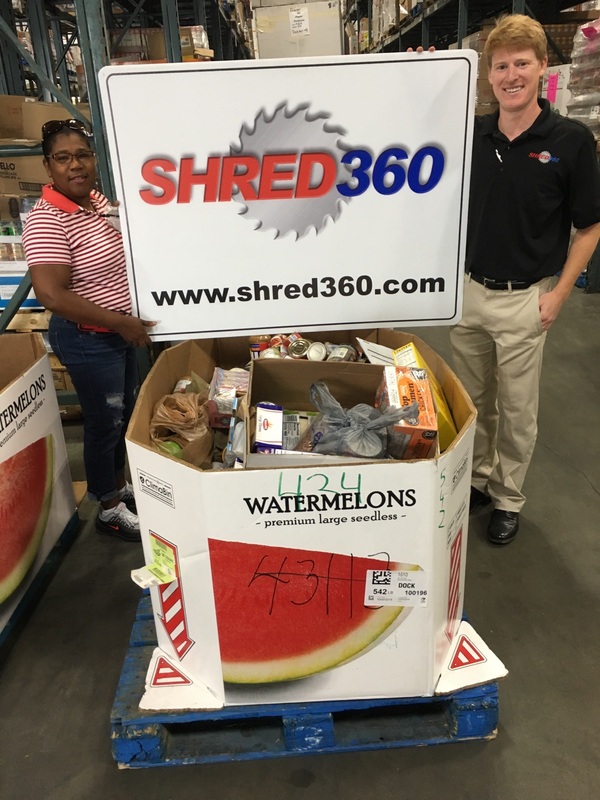 Due to the highly anticipated arrival of Hurricane Florence, Shred360 witnessed a special outpouring of support for those who would be soon affected by the storm. Shred360 is proud to announce, we collected 600 lbs of food items, and $1000.00 in cash donations! Shred360 would like to extended a huge thank you to everyone who attended and supported our efforts! Donations go directly to Hurricane Florence relief efforts.